For my first article for New Hampshire Magazine (on news stands now or, if you aren’t local, here’s the link), I had the very general assignment of “The Shaker Style Kitchen.” I was given some pictures of various kitchens I might profile that all had Shaker style cabinetry (more on that later), but it was really up to me what angle I would pursue. The problem was, though the cabinetry was beautiful in all the pics, I didn’t feel like I could endorse them as what I felt to be examples of really good kitchen design. Why? I personally feel that great kitchen design is going to stand up to 20-30 years of changing fads. 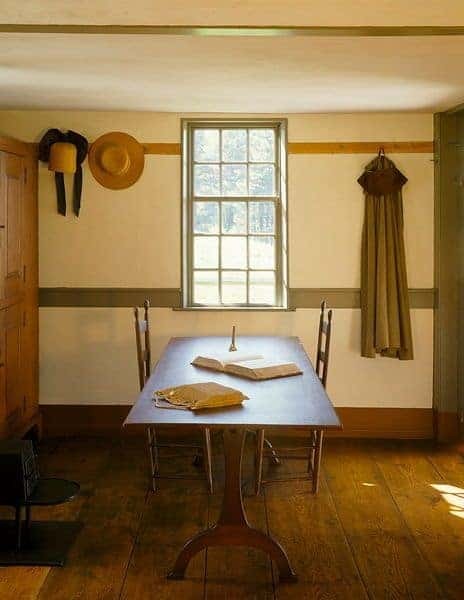 Moreover, the Shakers themselves created some of the most simply beautiful furniture and cabinetry ever made, things that still feel current in today’s interiors two centuries later. Talk about timeless. Of the “Shaker style” kitchens in the photos I was given, some tried to do funky backsplashes, some had very busy countertops, some had overly ornate “rubbed” cabinet finishes, some had weird variegated cabinet heights, and some had islands the size of Antarctica and equally as cumbersome to circumnavigate. Lots of really good things in this kitchen — beautiful counters, tiling and cabinets all the way to the ceiling, and lovely lighting — but are they serious with this behemoth island? Maybe it’s the picture angle. Either that or the chef wants to work off her calories as she cooks. I also don’t like to stare at myself while I wash the dishes. A cabinet over the sink (not as low as the rest) would have been better. And why, oh why, couldn’t they have kept the backsplash consistent over the stove? It’s just random, IMO. Anywho! In trying to be “different,” these kitchens already looked dated to my eye. Not timeless by any means. Yikes! Luckily, I knew of one Shaker style kitchen in New Hampshire that was anything but dated. In fact, it was already nearly a decade old (not much younger than my very dated 2003 kitchen), but you would never ever guess it. How did the homeowner do it? 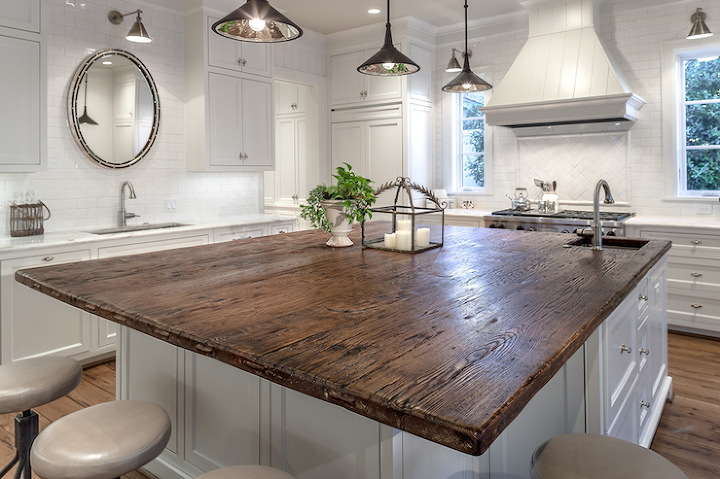 What can you do to create a really timeless kitchen? A quick history lesson first. The United Society of Believer in Christ’s Second Appearing (a.k.a. the Shakers) was founded during the 18th century in northwest England as a charismatic offshoot of Quakerism. Their ecstatic ways of being “moved” by the Spirit spawned their nickname. 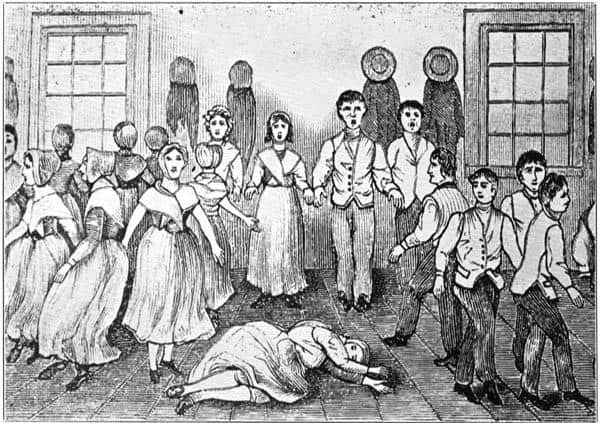 During their height in the mid-19th century, the Shakers were widely known for their religious fervor, self-supporting communal lifestyle, beliefs in pacifism and equality of the sexes (revolutionary at the time), and probably most notably, practice of celibacy. 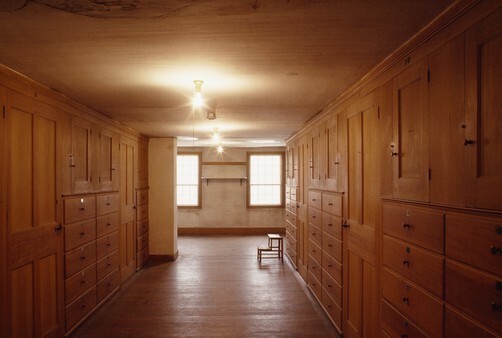 Their arts and crafts reflected their guiding principles of simplicity, utility, and honesty – whether in their haunting unadorned melodies or the minimalist lines of their exceptional cabinetry and other furniture. Basically, people thought they were completely nuts but that they made great stuff! 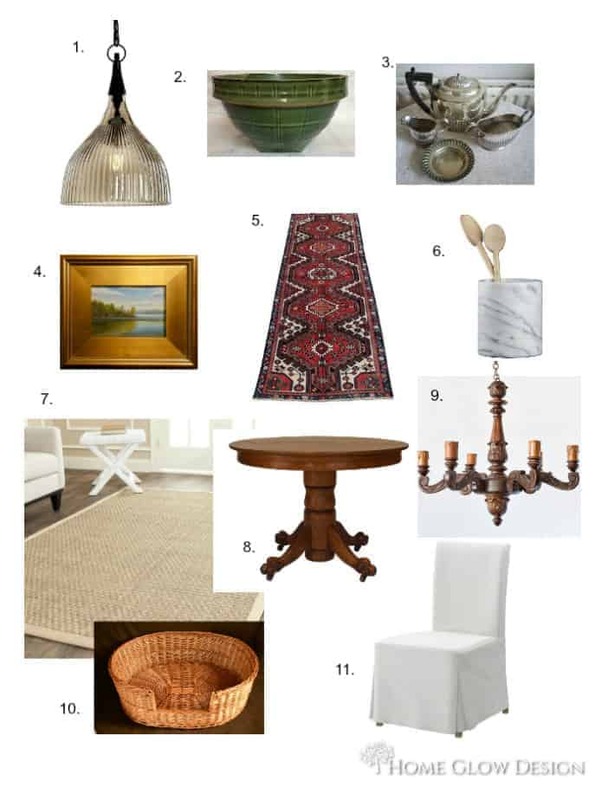 When you think of the Shakers and Shaker style, what images come to mind? Ladder back chairs? Peg boards for hanging coats? Sculptural trestle tables? Simple dressers with perfect proportions? I think of high quality, clean lines, and minimal ornamentation — beauty found in utility and form a servant of function. Fast forward to the 21st century. 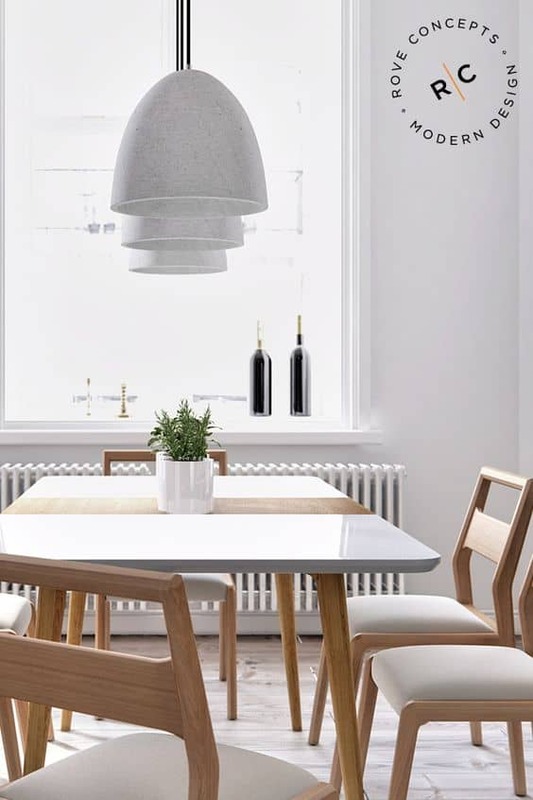 That clean Shaker aesthetic continues to find a home in current interiors without looking the least bit dated, don’t you think? Did it influence Danish minimalism? I wouldn’t be surprised. And probably more than in any other room, you will find the Shakers’ ongoing influence in the kitchen, from Early American to super modern and everything in between. Most people today think of a Shaker style kitchen as having a particular 5-piece door front with a flat recessed panel. Drawers are made to match or have plain slab fronts. Photo by Sam Abell. From the women’s dormitory in Canterbury Village in Canterbury, NH. The overlay style is usually selected for two reasons: 1. Crafting overlay style is easier and less time-consuming and therefore less expensive, and 2. Some cabinet space is sacrificed in the inset style. If you have a newer house (think 1980s pseudo-colonials 😉 ) that doesn’t need to consider history as much, overlay style is a very attractive, appropriate, and more economical cabinetry option. As a decorator, my own aesthetic tends toward “fresh classic.” I love interiors that have a traditional character (because who has the money to redecorate five years later?! ), but with a twist. I emphasize the financial sense of investing in quality and utility – much like the Shakers did. As a design writer, I wanted to find a Shaker style kitchen that embodied these qualities. Drumroll, please …. 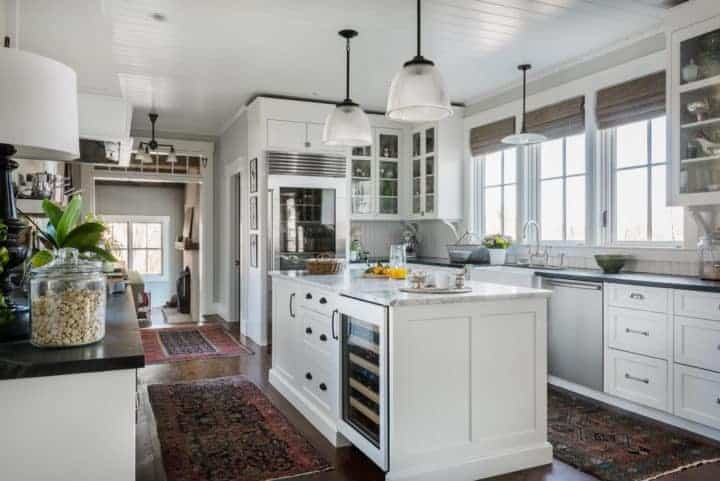 Few Shaker style kitchens in recent years have struck me as much as that of Joan Ross, decorator and writer of the hugely popular blog for the love of a house. In fact, I used a pic of her kitchen as my jumping off point for my post “Cream and White Kitchens: Happy Accident or Stroke of Genius?” When I got the NH Mag assignment, I gave Joan a buzz to see if I could profile her kitchen, and happily for me she said yes! You can especially see this tirelessly thoughtful design in the kitchen. Like the Shakers, Joan has created a space with an eye for beauty and that is, above all, a servant to utility and not of passing trends. All the following photos are by Sabrina Baloun unless otherwise noted. She began with Benjamin Moore’s White Dove, OC-17 for the cabinetry, a real bead board backsplash, and solid wood ceiling. Believe me, I love color in the kitchen, but white is always a timeless choice regardless of any trends. Read the cream & white kitchen post to understand why. 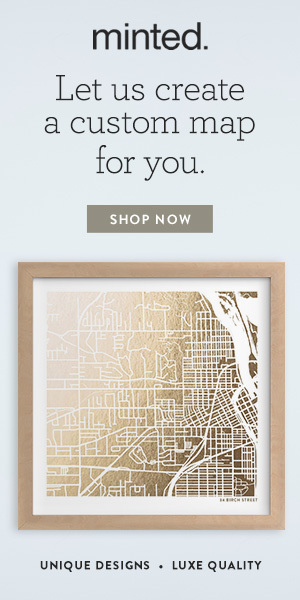 (Big caveat, though — always pay attention to the bones of your house. If you have wood trim, for example, a white kitchen is probably not for you.) And White Dove is one of my favorite whites; it’s fresh and clean feeling without being stark. It also goes with almost any other color. 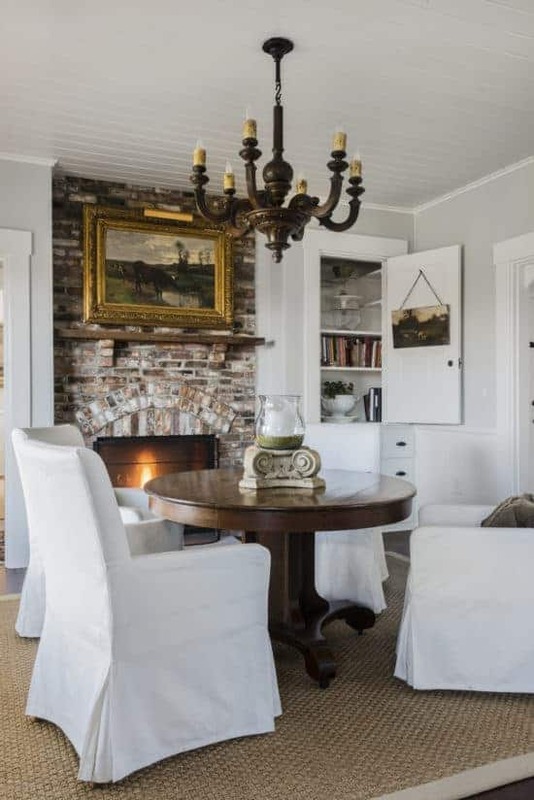 The ceiling is made of 6 inch v-matched tongue-and-groove boards painted with a semi-gloss finish, a little trick Joan has used all over the house to make her ceilings look taller by reflecting the light. What a great idea! The stove, refrigerator, and sink work in an efficient triangle, and the island is of human proportions. Joan prefers to get her exercise walking her three rescue dogs as opposed to running laps around the kitchen. People, bigger is not necessarily better!! Joan uses base cabinet drawers – instead of doors and shelves – for everything, even her super heavy Le Creuset Dutch ovens! Drawers are AWESOME in the kitchen. They allow you to see all your pots and dishes without having to bend over and rummage through dark lower cabinets. Joan is the kind of homeowner that values the patina, or “signs of life,” that actually living in a space emparts. She first fell in love with marble on her and Dan’s trips to France. 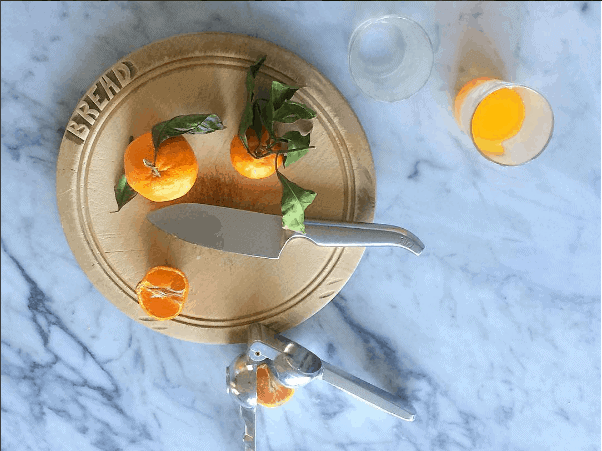 After seeing all those beautiful 100-year-old floors and counters in the dozens of patisseries and restaurants they visited, she knew she wanted it for her own kitchen, along with soapstone. 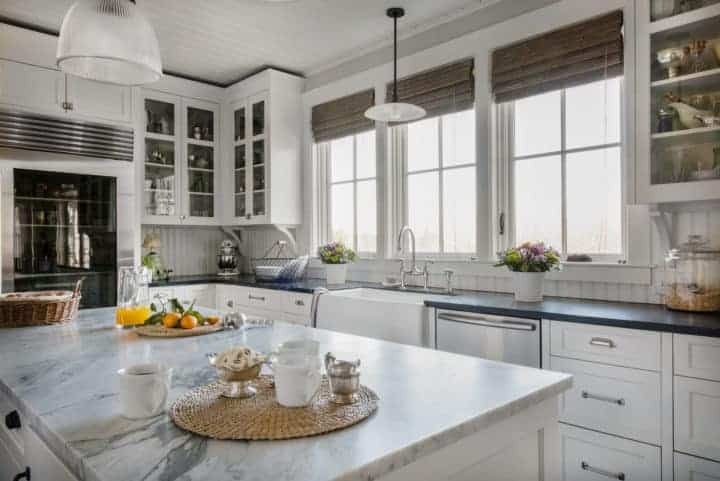 Both marble and soapstone are classic counter materials that have been used in kitchens for centuries because they are durable and utilitarian. 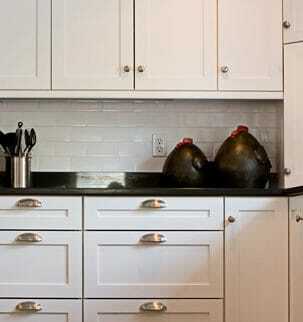 Soapstone is non-porous and naturally antibacterial and stain resistant. It is impervious to chemicals, acids, and heat. In fact, you can place a hot pot on it. Marble, for its part, remains cool to the touch due to its natural conductivity and is a favorite surface for bakers. Gorgeous, right? Just don’t sweat the etches! My pic. Soapstone and marble have their foibles; neither is exactly maintenance free. Soapstone can chip and needs waxing. Marble etches, or shows pale grey marks, when it comes into contact with anything acidic — like the orange juice above!. Joan did posts reviewing her experience with both materials here and here. They are the most thorough reviews of these counter tops that I’ve ever read and were written after years of use, so take a look if you’re considering these surfaces for your own kitchen. 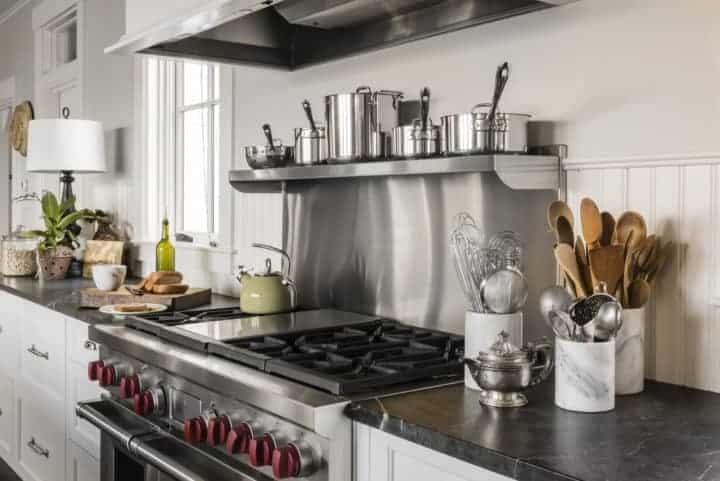 However, if you think such “patina” may drive you crazy, consider Virginia Mist (aka Vermont Mist) granite as a soapstone substitution, and this is a great post about different quartz options that resemble Carrara marble. 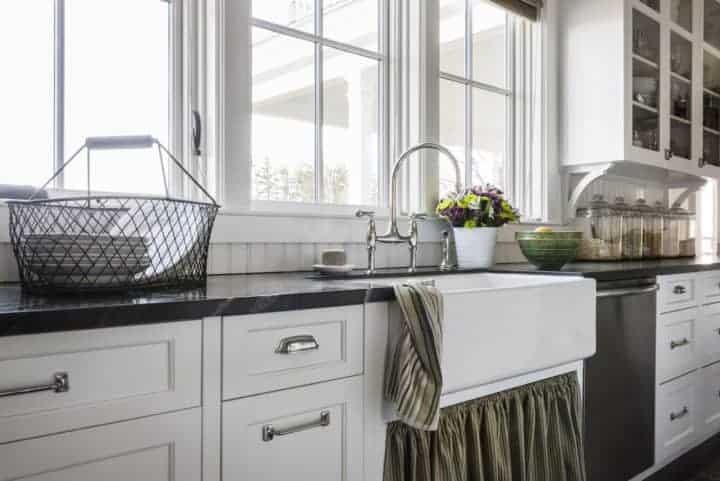 The traditional gooseneck with bridge faucet is from Perrin and Rowe, and the 36″ farmhouse sink is from Rohl. 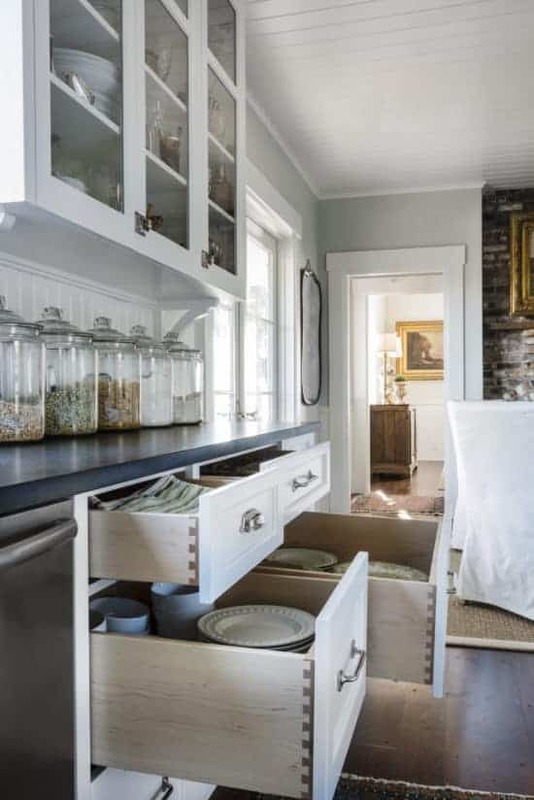 In addition to antique hardware, Joan used bin and handle pulls from Restoration Hardware. Island pendants are antique. Natural touches like the ticking stripe sink skirt (which visually breaks up the expanse of white base cabinetry), bamboo window shades, and a basket dog bed (not pictured) bring additional texture and warmth to the space. I love that, with all the more expensive fixed features, Joan has no problem mixing in more budget items, like these Ikea chairs and a seagrass rug from Lowe’s. A good product is a good product. Joan only just had the chairs re-foamed — after 8 years of use. Not bad. Her oak pedestal table was a vintage find, but check any local Craigslist or estate sale, and you can find something similar for a song. As the kitchen had to be a gut job for various reasons, new floors were installed during the renovation. I love that she kept the flooring as consistent as possible with the rest of the house, using random width Eastern White Pine from Carlisle Wide Plank Flooring, a company that just happens to be located up the road in Stoddard. So let’s have a little review. Why is Joan’s kitchen timeless, in the best sense of Shaker style? Consistent and simple finishes — no wonky backsplash mixups, no crazy floors, no latest-fad faucets, etc. Why is it gorgeous? Well, a lot of that has to do with Joan’s completely stunning sense of style, her antiques-in-use aesthetic. Do you love her style? There’s no shame in stealing it for yourself!! (I loved this post from Laurel Bern on the simple design trick that decorators don’t want you to know — aka “stealing.” Good read.) Imitation is the sincerest form of flattery, after all. 1. / 2. / 3. Similar / 4. / 5. / 6. / 7. / 8. Just for looks. Find something cheaper close to home!/ 9. / 10. / 11. Joan is a true antique hound. Most of her stuff is the real McCoy. Some of the above items are vintage and some are vintage-inspired. What are your thoughts on my take on timeless Shaker style kitchens? Do you prefer something a little more funky, or are you classic all the way? And while I have your attention — if you like what you’ve read here, please sign up in the right hand sidebar to receive my weekly Saturday Blog directly to your inbox. And if you REALLY like what you’ve read, feel free to share my post on Facebook with all your nearest and dearest friends! OOPS: I realized that the link to Serrett Studio’s Autumn painting was wrong. Link fixed now!